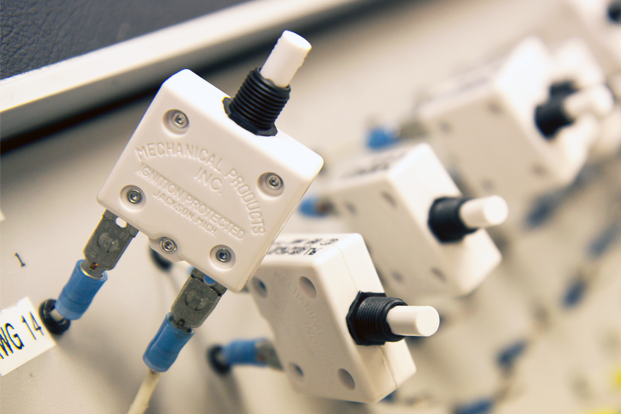 Mechanical Products is proud to offer an in-house, full-service testing and analysis center to assist in coordinating the proper circuit protection selection for your requirements. Our technicians have over 60 years of combined experience testing electrical products that demand strict adherence to agency specifications and customer requirements. MP Engineering is experienced in testing to UL, CSA, IEC, CCC, ABYC, SAE and Mil-Spec Standards for circuit protection and environmental compliance testing. MP has distinguished itself through unmatched quality and unparalleled service by exhaustively testing products to the most rigorous standards. 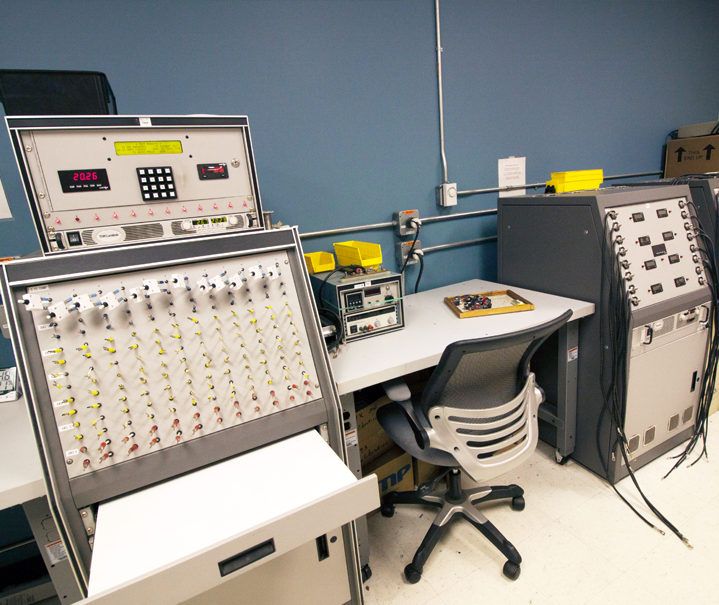 Our state-of-the-art electrical testing laboratory ensures our devices operate safely and reliably every time.